From inside the walk-in the wall abutting the smoke room. left top and right top will be glass shelves inside humi, glass front into smoke room for "pretties". Center top is tv area which will have storage on the humi side. 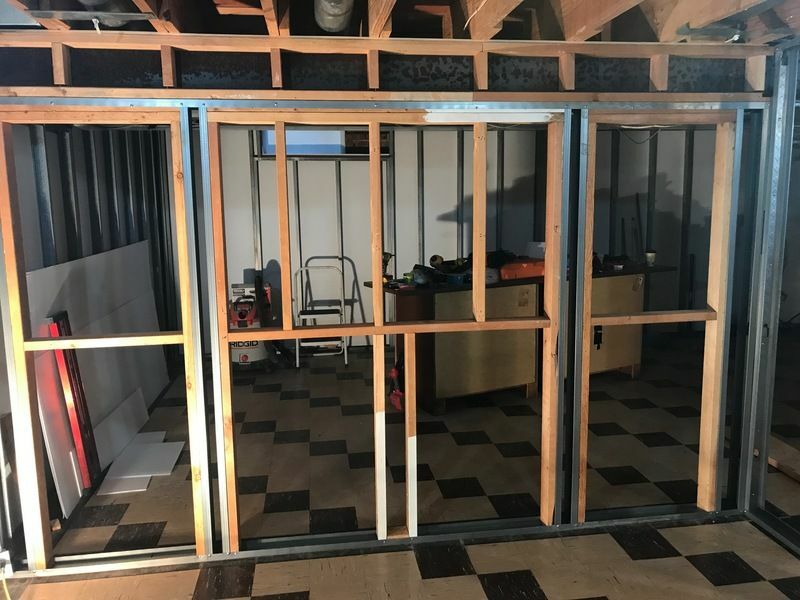 Bottom 4 openings will be pull out drawers on the smoke room side for singles and open box access without having to walk out and into the humi. Still have to pick out flooring and a million other little details.